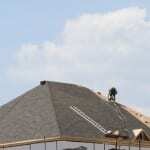 When you need roofing services in Bradford, our team at Slippery Slope Roofing can provide all of your roofing needs. Have you recently discovered a problem with your roof and now you need professional help? Determining what to do when you have sustained roof damage can be overwhelming, and you may be worried about the cost. When you need roofing services in Bradford, Ontario, our team at Slippery Slope Roofing can provide all of your roofing needs. We are proud to offer top-quality customer care, and you will have our undivided attention during the job. When you need roof repairs, you shouldn’t wait to have the roof fixed, or it can cause even more damage. At Slippery Slope Roofing, we are detailed-oriented and efficient, so your roof is back in its best shape in no time. And if you discover that you need roof replacement due to age or damage, our quality workmanship and efficient service ensure that your roof will be safe and secure as quickly as possible. When you are building a new home, the addition of your new roof can be exciting! With our roofing services, you will have our undivided attention because we only work on one job at a time. That means your new home will come to life exactly as you imagined it. With over 50 years in the roofing industry, our customer service and attention to detail is unrivaled. When you are looking for experts to assist you with all your roofing needs, we provide the comprehensive roofing services you need. Call us today to get started on your roofing project! At Slippery Slope Roofing, we offer high-quality roofing services in Bradford, Barrie, Orillia, Alliston, Newmarket, Cookstown, Beeton, Innisfil, Angus, Collingwood, Wasaga Beach, Oro-Medonte, Midland, New Tecumseth, Clearview, Bradford, Essa, Stayner, Springwater, and surrounding areas of Ontario.